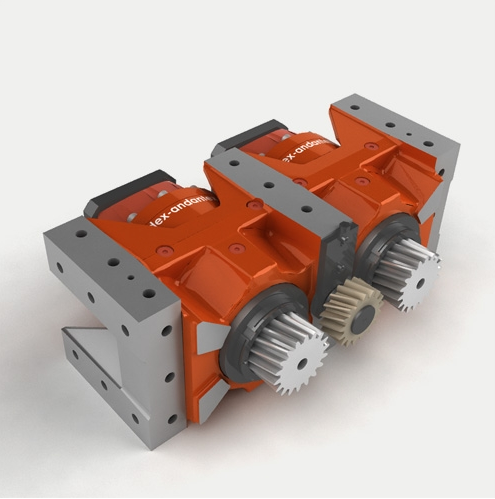 DRP+ DualDRIVE & TwinDRIVE includes monoblock housing for universal mounting. 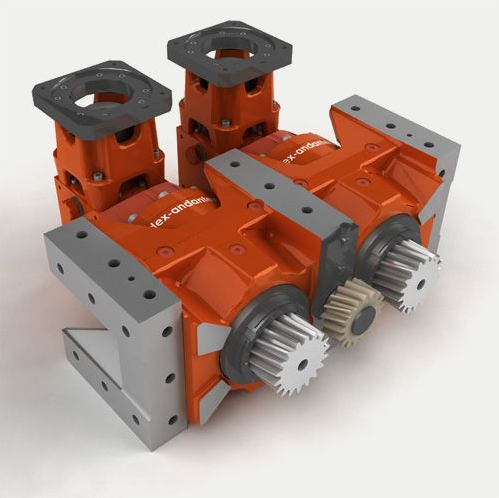 DRP+ planetary gearboxes are the dedicated solution to ZERO-BACKLASH rack & pinion and rotary table drive applications. They consist of two top quality planetary reducers mounted in parallel inside of a super rigid universal housing. Two integral output pinions engage the rack to allow preloading of the system and maximize the Stiffness on Rack. When choosing the mechanical preload solution, the DRP+ becomes a DualDRIVE unit, which achieves ZERO-BACKLASH by torsionally winding one pinion against the other through the rack. 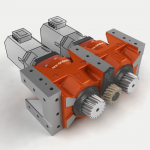 Only one motor is required to drive the axis simplifying motor control. 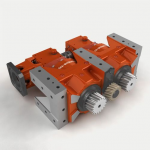 DRP+ becomes a TwinDRIVE when the Electrical preload solution is applied to cancel the backlash. In this case backlash is eliminated by using two motors; one to drive the axis and one to preload the axis.